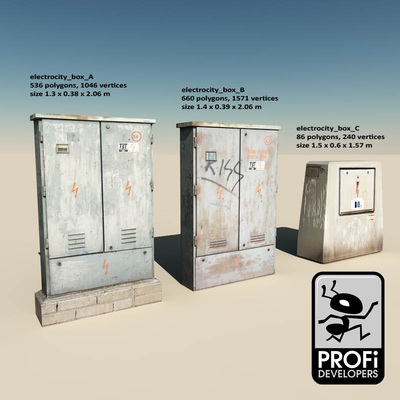 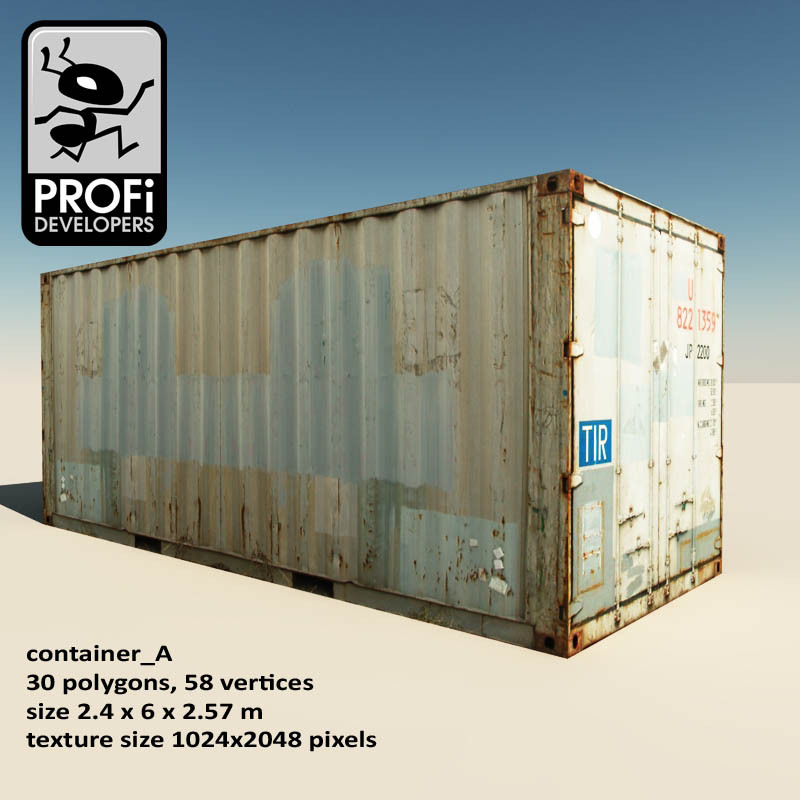 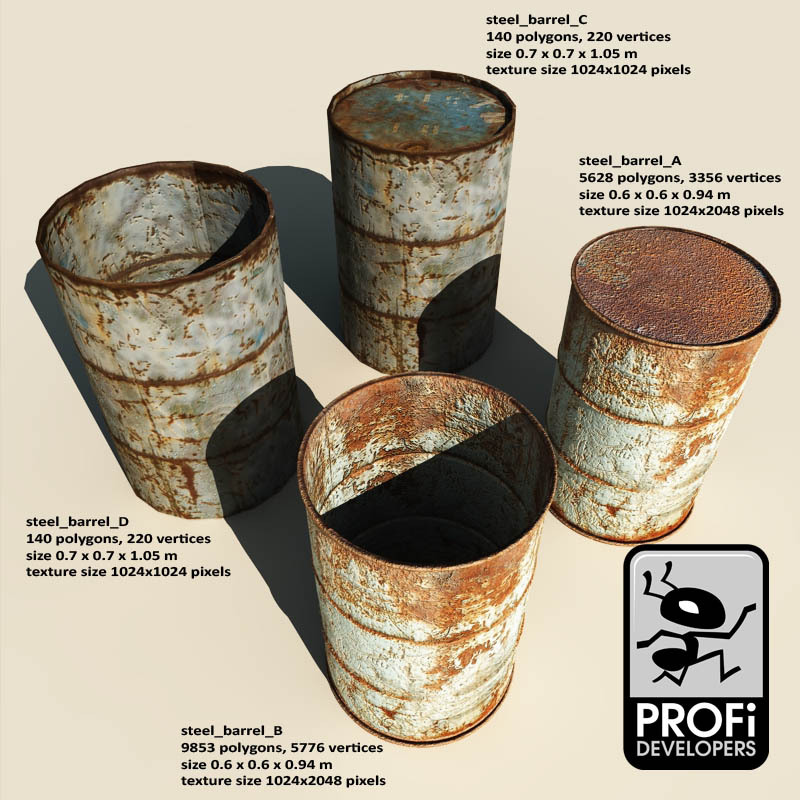 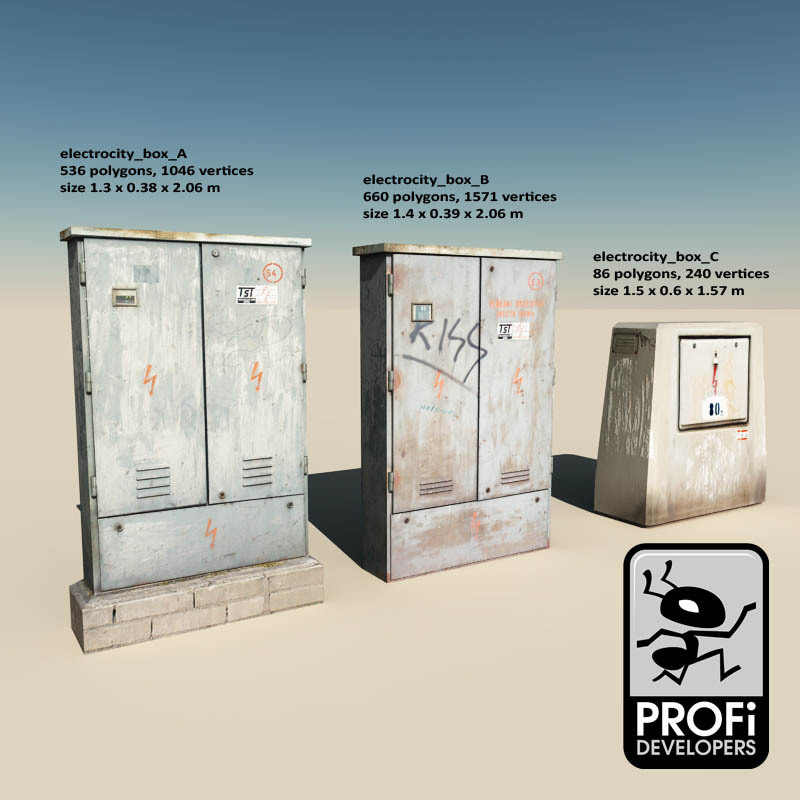 This grouped object includes thirteen photorealistic textured barrels, boxes, containers and many more objects from the industrial environment. 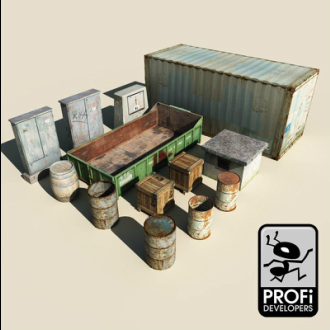 Load into Vue and you can ungroup and resave as you like. 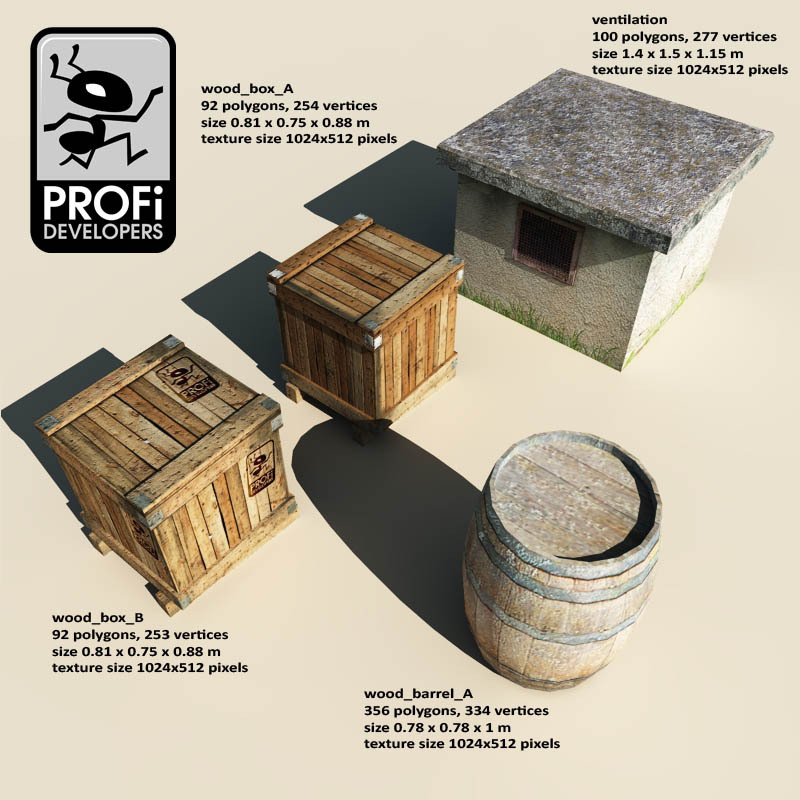 Models are suitable for view from a long distance or RTS games. They have a very small amount of polygons. 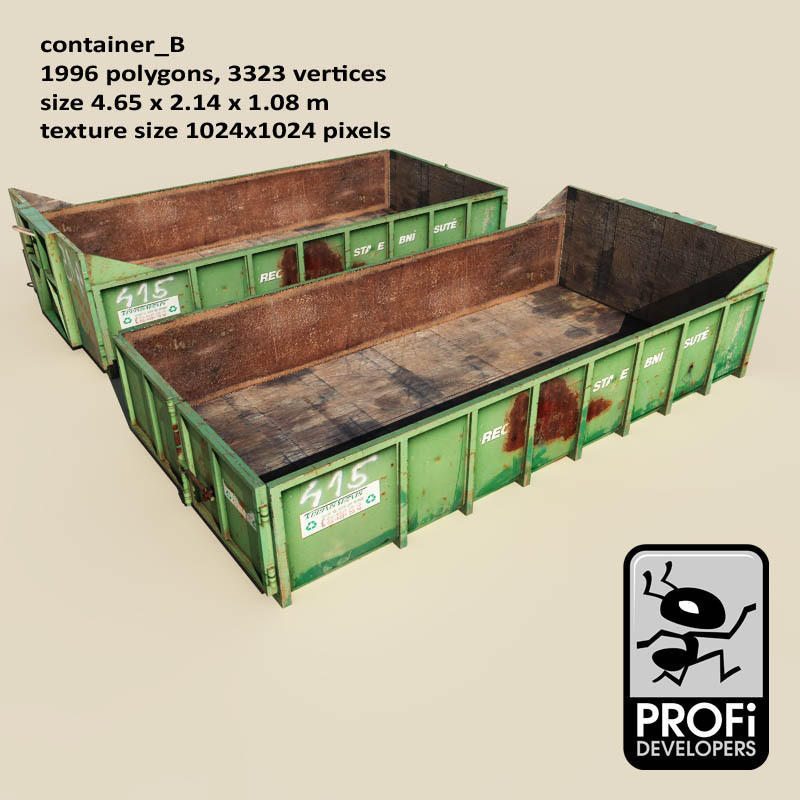 Package has nine photo textures in JPG format.